In a riveting first-person account, Todd Ramón Ochoa explores Palo, a Kongo-inspired "society of affliction" that is poorly understood at the margins of Cuban popular religion. Narrated as an encounter with two teachers of Palo, the book unfolds on the outskirts of Havana as it recounts Ochoa's attempts to assimilate Palo praise of the dead. As he comes to terms with a world in which everyday events and materials are composed of the dead, Ochoa discovers in Palo unexpected resources for understanding the relationship between matter and spirit, for rethinking anthropology's rendering of sorcery, and for representing the play of power in Cuban society. 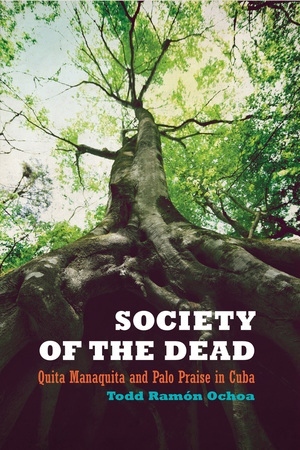 The first fully detailed treatment of the world of Palo, Society of the Dead draws upon recent critiques of Western metaphysics as it reveals what this little known practice can tell us about sensation, transformation, and redemption in the Black Atlantic. Todd Ramón Ochoa is a cultural anthropologist and Assistant Professor in the Department of Religious Studies at the University of North Carolina, Chapel Hill.